In the 1980s and ‘90s, young children and students needed to hide their comic books from teachers and parents in order to secretly enjoy them. When they were caught furtively reading comics like “Dragon Ball” or “Slam Dunk” from Japan, or Korean series featuring famous characters such as baseball player Dok Gotak and Kkachi, instead of studying for college exams, they were immediately punished, while the seized comic books were ripped to shreds and thrown out. Comic books were considered dangerous materials that “rot” children’s minds and hindered their education and career goals -- getting into a college in Seoul and securing a stable job at a conglomerate. Today, comics are considered “potential assets” to the country’s economy amid the rapid development of Web and mobile-based technology platforms. An established comic artist can on average earn more than 5-6 million won ($5,100) per issue. In Korea, 1 in 3 three people reads webtoons on a smart device each week. Comics were one of the first content industry sectors to embrace technology, leading to the proliferation of digital comics that helped quench consumers’ growing thirst for online content. With technology platforms tearing down the walls between consumers and both amateur and established comic artists, young people are being encouraged to read comics and create stories, and even develop business models around webtoons. Over the last 10 years, the digital comic industry has shown significant growth with the number of local platforms reaching about 30, with more than 4,600 artists working in the field as of the first half of 2015. Over 5,700 issues have been published via webtoon platforms in Korea, according to the Culture Ministry. 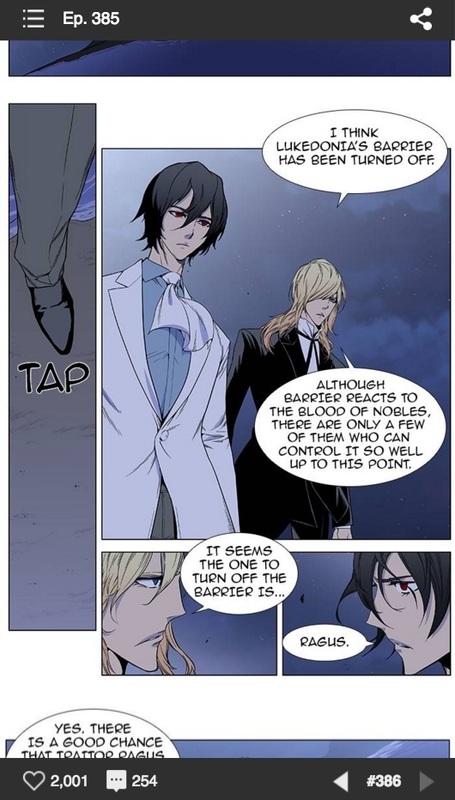 With a slew of successful titles with original stories and characters, which have also been adapted into other forms of entertainment, such as films and TV dramas, webtoons are currently considered the next-generation content that could potentially appeal to overseas comic book readers and fans. Industry sources explain that the time is ripe for Korean digital comics to venture overseas with the government and its key agencies, including the Ministry of Science, ICT and Future Planning and KOTRA keen on fully backing one of the leading content industries. “The keyword for the Korean webtoon industry in 2016 is ‘globalization,’” said Jay Im, chief strategy officer of Rolling Story. Rolling Story operates the Spottoon platform featuring English-version works of 23 Korean comic artists, including Yoon Tae-ho, the author of the hit “Misaeng,” which was featured on Daum Webtoon (Kakao) between January 2012 and July 2013. Yoon’s webtoon “Misaeng” (“Incomplete Life”) sold a record 2.2 million comic books of the same title. Twenty-three artists formed the artists’ union Toonion, which has a 23.8 percent stake in Rolling Story. Hankyoreh, a liberal news daily, holds a 32.1 percent stake in the start-up. Rolling Story plans to introduce around 100 Korean webtoons via its platform in 170 markets in the first half of next year, Im noted. Although the local market is heralded as a “gold mine,” webtoon platform operators like Rolling Story, Lezhin Entertainment and Naver’s Line Webtoon will need to charter into untapped territory overseas. By strengthening their lineups of digital comics, these companies seek to create a webtoon market abroad that is similar in scale to -- or hopefully bigger than -- that of Korea. “Overseas markets are still considered a ‘blue ocean.’ We still need to further promote that there is this kind of content called webtoons,” said Cha Jung-yoon, a spokesperson for Naver’s Line Webtoon. Line Webtoon began its overseas venture last year in China, Taiwan, Thailand and Indonesia with popular comics, such as comedy “The Song of Your Heart,” by Cho Seok, and fantasy “Noblesse,” by Son Je-ho and Lee Kwang-su. Lezhin Entertainment, the operator of Lezhin Comics platform, said it will need to further build a stronger business foundation for its overseas venture in Japan and the U.S. next year. “Our main task would include upgrading our content (services) in Korea and abroad in 2016,” said a Lezhin official. Lezhin, which has published more than 1,300 webtoons, is in the process of selecting digital comics for the U.S. market. Its U.S. lineup will include “4 Cut Hero,” a fantasy and comedy series by Gojira-Kun, and “Matchstick 20,” a mystery from Masatoki and Dohyun. The success of TV drama “Misaeng” based on artist Yoon’s comics has demonstrated that webtoons have great potential for transmedia or cross-media storytelling, or as one-source multiuse content, industry experts point out. More cross-media deals to adapt webtoon stories into TV drama series, feature-length animations, movies, games, books and toys are expected in 2016. Rolling Story is seeking to seal a deal to produce “Peak,” written by Hong Sung-soo and illustrated by Lim Gang-hyuk, into a TV series overseas. 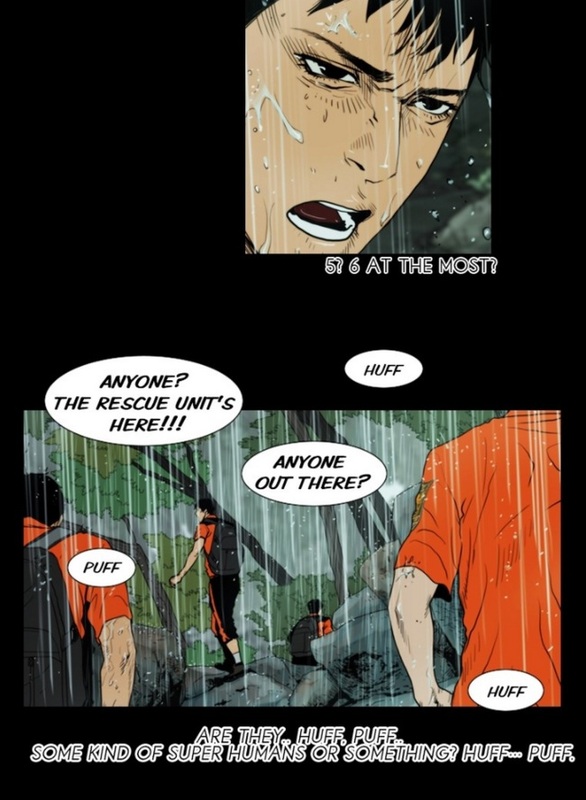 “Peak” is an action drama webtoon about a band of rescuers searching for survivors in the mountains. Lezhin is also looking to develop “D.P. Dog Days” by an artist with the penname Kim Botong into another “visual medium” next year. 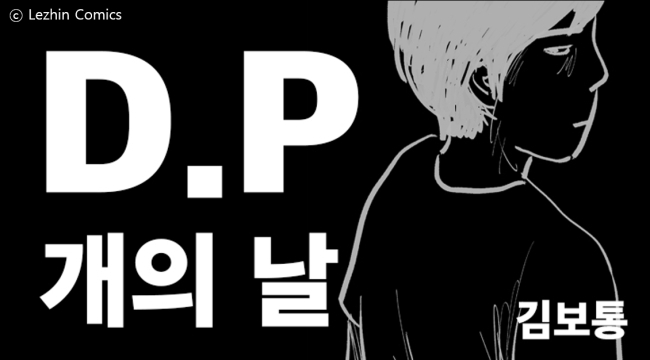 “D.P,” which stands for Deserter Pursuit, is an action-drama webtoon about military police tracking down soldiers who have left their post without permission, while learning about their reasons for desertion. Kang Full’s horror “APT” was the first Internet comic to be translated into a film, in 2006. Kang, among the first generation of PC-based comic artists, holds the record for creating the largest number of webtoons. He has 13 titles to his name, including “Babo” and “The Neighbor.” Most of his works have been remade into motion pictures. “Webtoons, which can be said to have started in Korea, can create new added-value to the economy, which faces tough competition from China (in manufacturing),” Im said. The value of Korea’s comics industry stands at around 760 billion won ($670 million), of which 170 billion won came from webtoons in 2014, according to the latest data by the Ministry of Culture, Sports and Tourism.